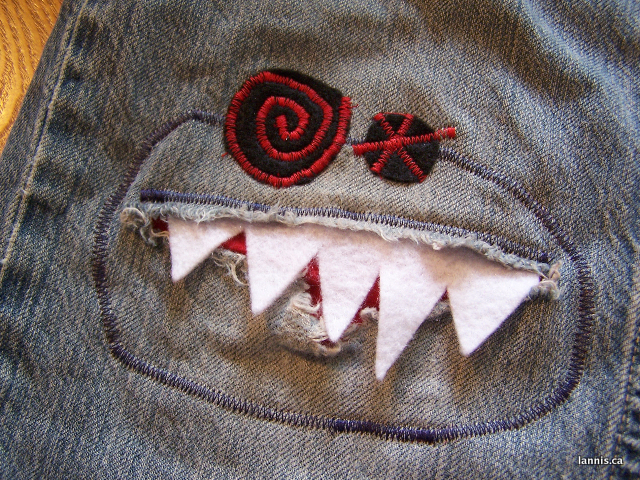 Chez Lannis: RWAR! 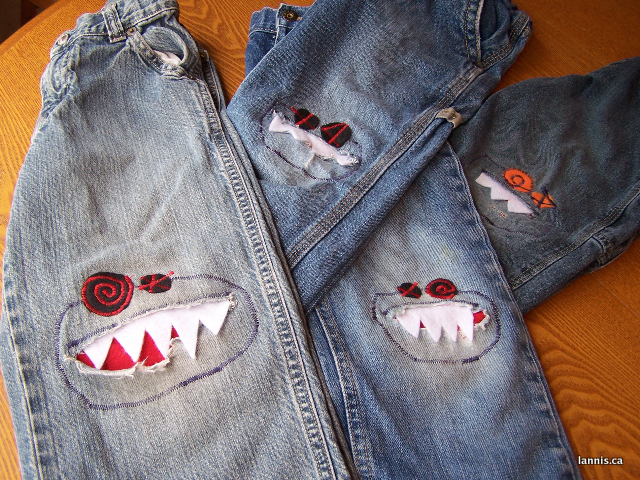 Monster Jeans! "When The Mrs finally fades," she says. Hmph. 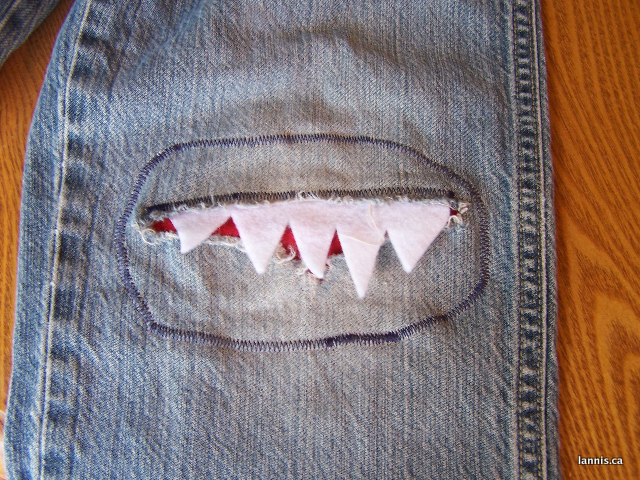 My kids LOVE it when I monsterize a pair of pants. 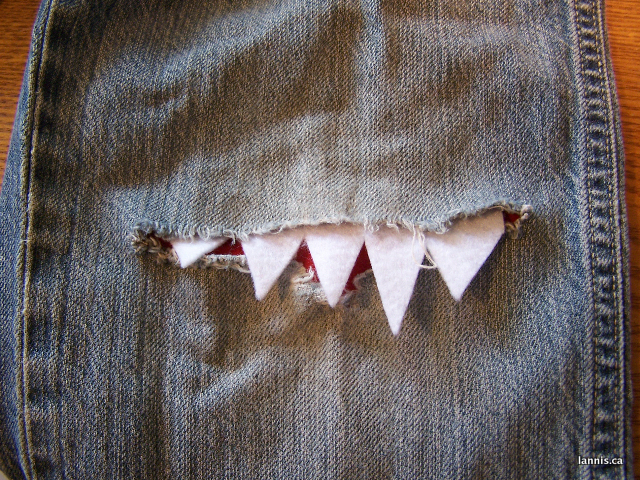 My little girl is excited about the possibility of wearing her older brother's monster pants when she's big enough (though she loves secondhand clothes from her older brother regardless). 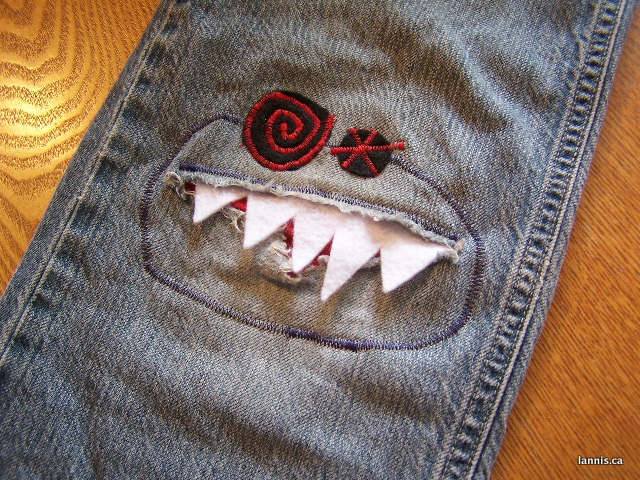 It's a big thing around here when I turn a pair of pants into monster pants. Yeah, yeah. 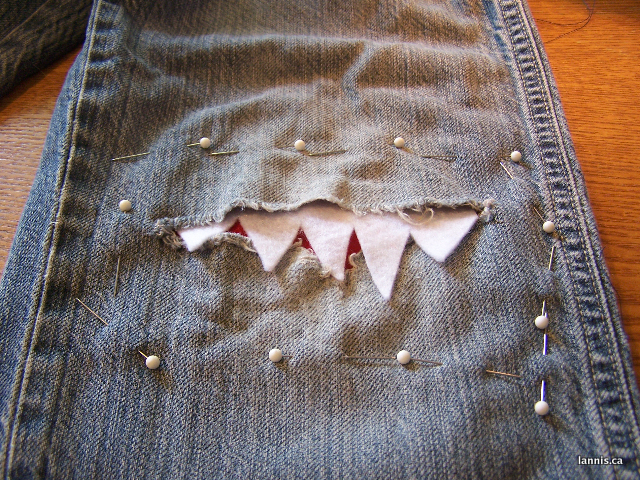 We all know I'm a big fat quitter...see how much progress there's been on the "Where's Lannis?" sidebar? 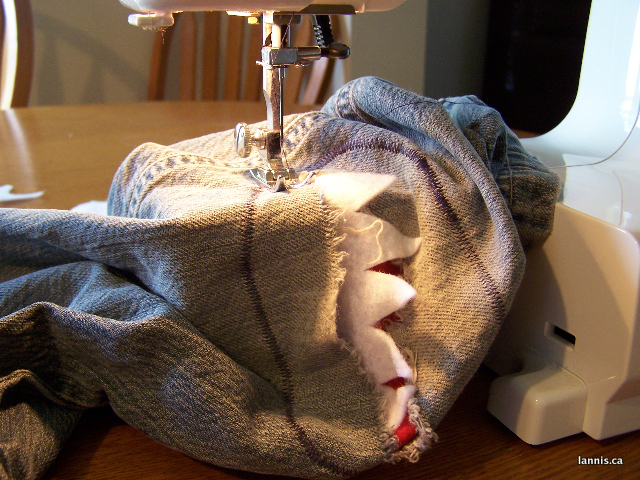 I am jealous of your serger and your coverstitch! 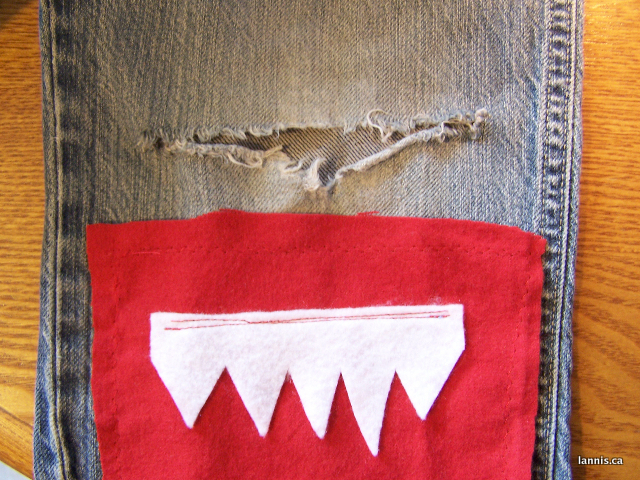 I do everything with a regular old sewing machine... boo.